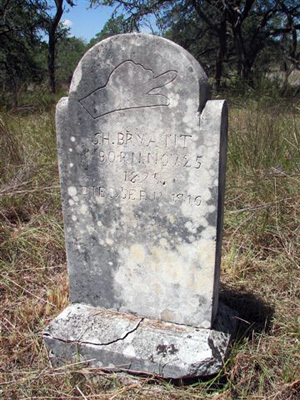 Gatlin-Garrett Cemetery, located on the northern edge of Hays County’s Storm Ranch, sits in isolation in the vicinity of what was once the community of Gatlin. Its remote setting is a double-edged sword, bringing it both relative safety from exposure but, as well, the seeds of neglect. The Storm family remains committed to all preservation efforts on the beautiful Hill Country ranch and is in the Summer of 2009 accommodating a partial clearing of the fenced site. 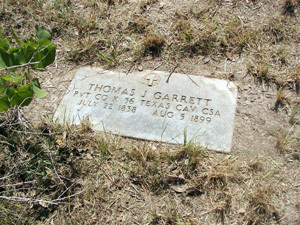 Approximately an acre is enclosed by fencing at the site, though only about half of that space has identifiable gravesites. 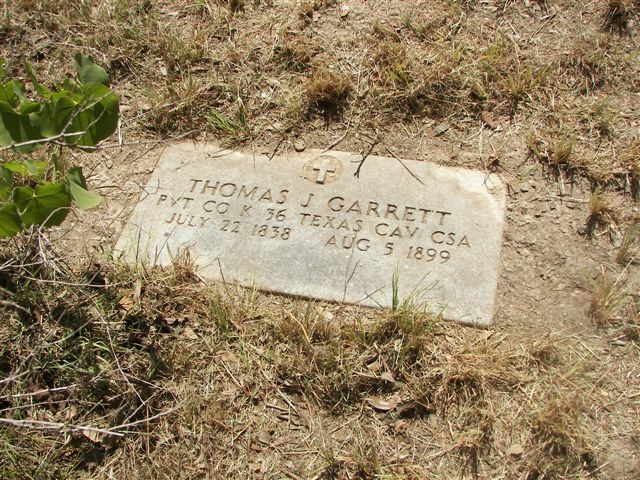 Most of those have tombstones with inscriptions, though careful clearing has exposed what are apparent gravesites with natural headstones and footstones without inscriptions or other identifying marks. Plans at this writing are to fully expose all identifiable gravesites, including removal of fallen trees over some of the sites. 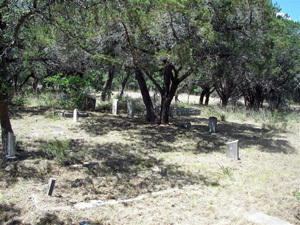 A full historic survey of the cemetery, as well as others on the ranch remain a long-term goal.